Just got your Nanabi and V-day Kumanosuke the teddy and started to feel impatient with training another pet from level 1 again? We totally feel you! As one of the game designers, I own every single pet including the limited or festival pets! 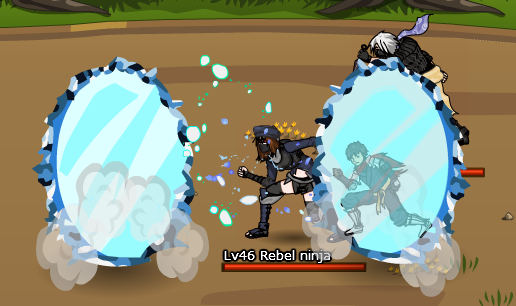 Train all of them by activating them, bringing them to missions and boss fights, and leveling up gradually… hey! It’s such a long and torturing journey, isn’t it? Therefore, please allow us to introduce you this brand new system – Pet Villa (ペトの部屋)! It’s a feature that allows you to train multiple pets at once, and at amazing speed! Enter Pet Centre, and choose Pet Villa, and you will be brought to your Villa. Place the pet that you want to train into a slot. The first slot is free for both premium and free users. 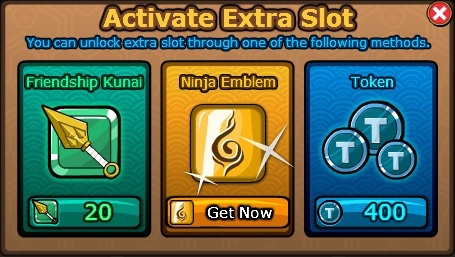 Get 20 friendship kunai, or use 400 Tokens to unlock the 2nd – 4th slots permanently. 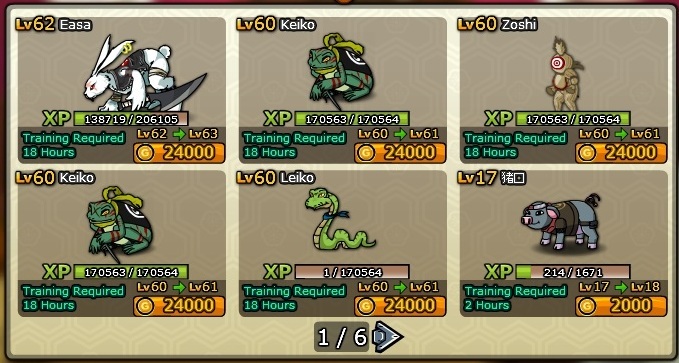 Once you have put your pet into any of the training slots, you will be asked to pay a certain amount of Gold, and then the training will start until your pet reached the next level! The training time will last from 60 sec to 24 hours. 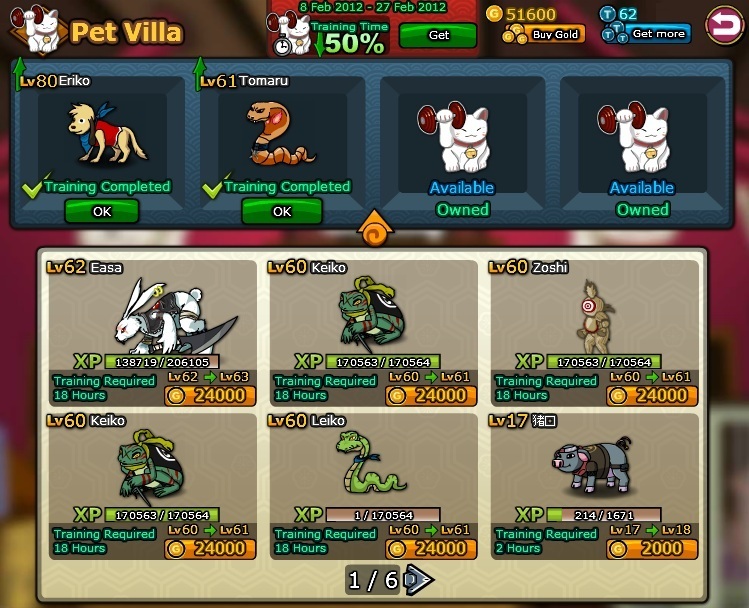 Go to Pet Villa after the required training time to get back your pets, and you will find them become your most reliable battle partners ever! 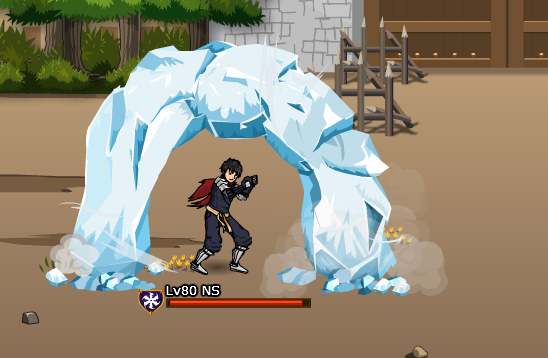 *You cannot equip the pets which are undergoing training in the Villa. *Even when you are offline, the training time still count! *You cannot “over-train’ your pet – Your level is always higher than your pet’s level. You will be able to, very soon! In the next update on this feature (Right! This feature will stay even after the Valentine’s Day Event! ), a consumable will be released so that you can shorten the time your pets spend in the Villa! Keep an eye on our Facebook page! 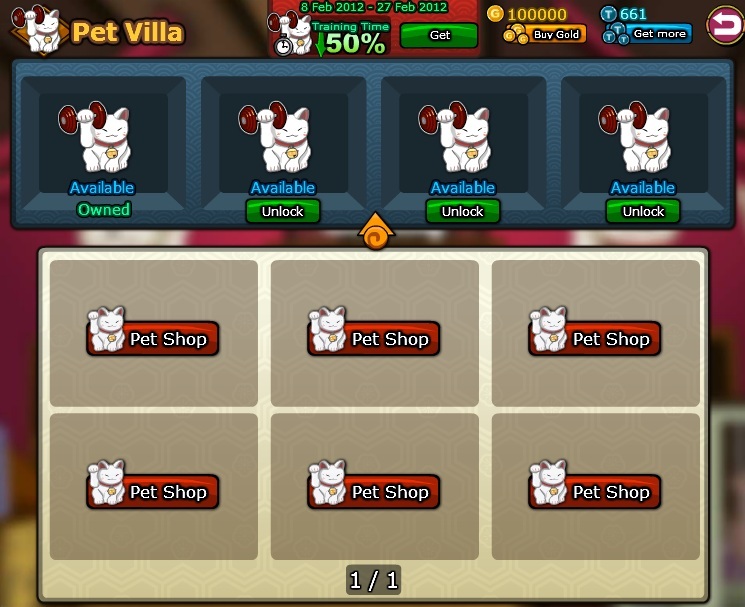 That’s how the new “Pet Villa” works! Just a little tip from us: 1 slot for boss pet, 1 for PvP pet 1 for mission, and the last 1 for your favorite pet! (or whatever!) Cheers!